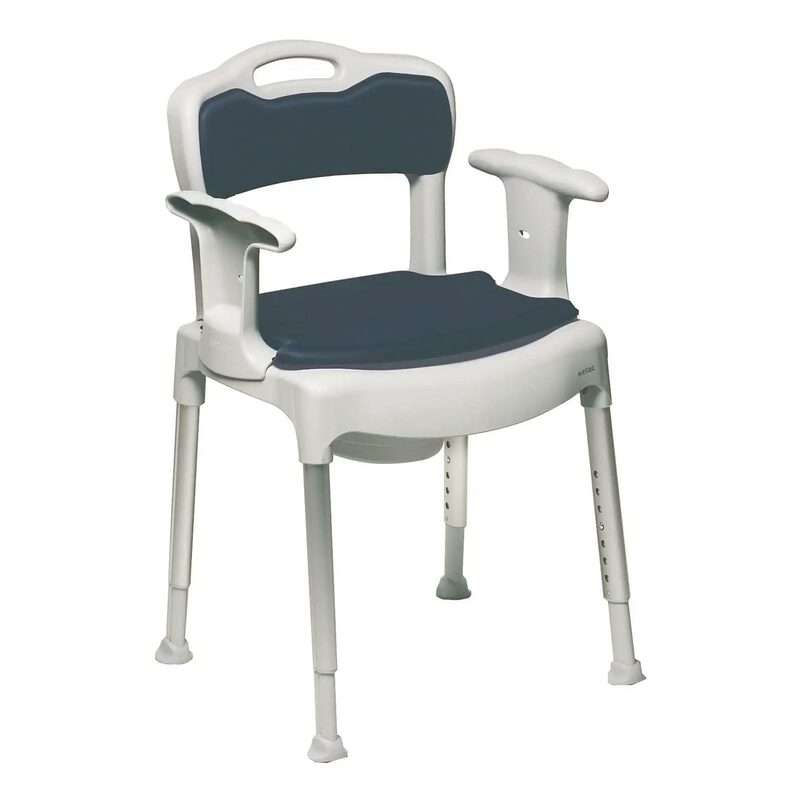 Etac Swift commode chair is comfortable and discreet in the bedroom. 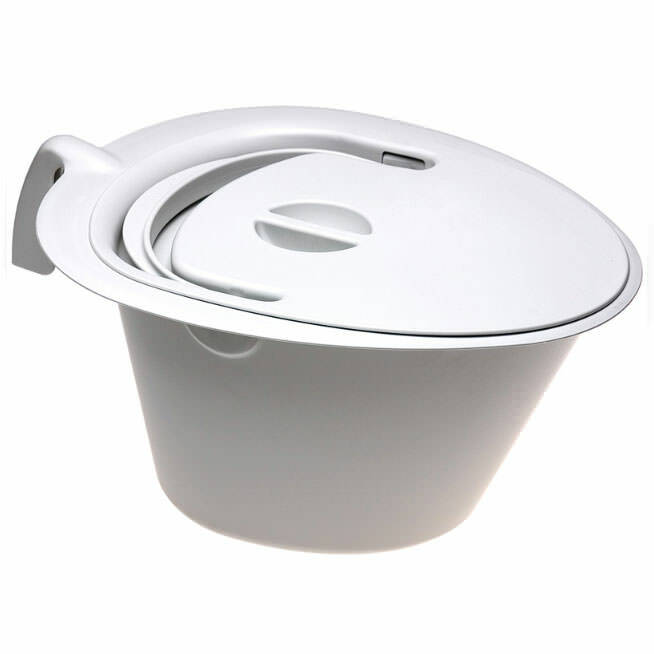 The seat pad conceals a removable pan with a secure lid that locks automatically when lifted. Swift Commode can be set with a slight anterior tilt to facilitate standing up. The soft seat and back support paddings come as standard. Swift Commode can also be used as a shower chair or as a freestanding toilet seat raiser. The soft ferrules give an excellent grip on all surfaces. Swift Commode is designed with easy cleaning in mind. It has smooth surfaces, easy detachable padding and is non corroding. Swift Commode comes flat packed and is easy to assemble and height adjust, without using tools. 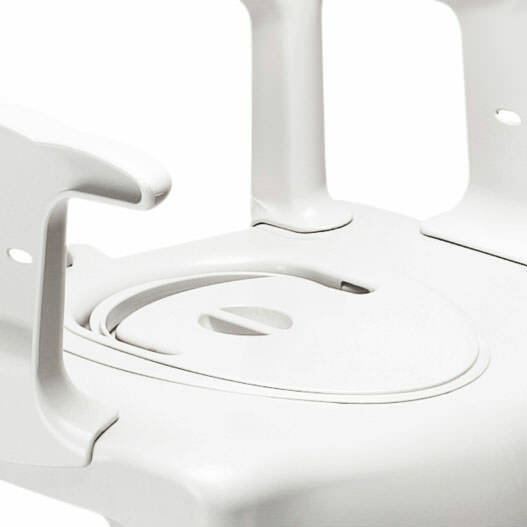 Width between arm supports 17¾"
Maintenance: Clean the product with a solvent-free cleaning agent (pH level 5-9), or with a 70% disinfectant solution. Can be decontaminated at max 85°C / 185°F is so required.